Every Thursday from 16 May to 20 June. 7.15 pm - 9.30 pm. 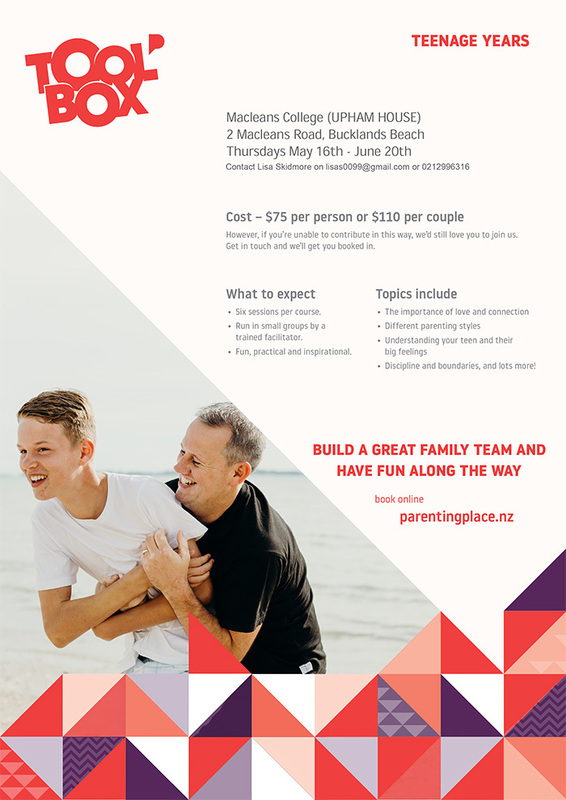 Please note that this course is being run exclusively for parents of pupils at Macleans College. In six sessions, typically run over six weeks, the Teen years Toolbox will support you on your journey of letting go and handing over some of the controls as your young person learns to fly solo. Although the teen years can be challenging, they can also be some of the best years of your life – and theirs! Toolboxcovers a range of topics, including the importance of love and connection, different parenting styles, understanding your child and their big feelings, discipline, boundaries and lots more. The course will end on 20 June 2019.